The article says that triclosan is toxic to the environment (it gets washed down our drains and into rivers and other bodies of water). Unfortunately they don’t have enough evidence (yet) to say it’s hazardous to human health but I’m sure its just a matter of time. 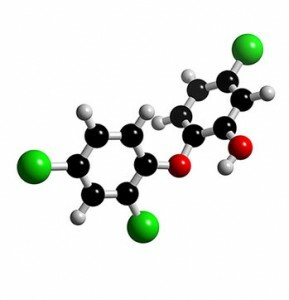 It has been linked to hormone disruption AND as we all should know leads to antibiotic resistance. Fill the rest of the bottle with any flavour of castille soap. Shake again. So, what’s next? I forsee clever marketing campaigns coming from all the big players trying to sell their new “Triclosan free” deodorants, hand soaps and cleaners. It’s new the BPA! 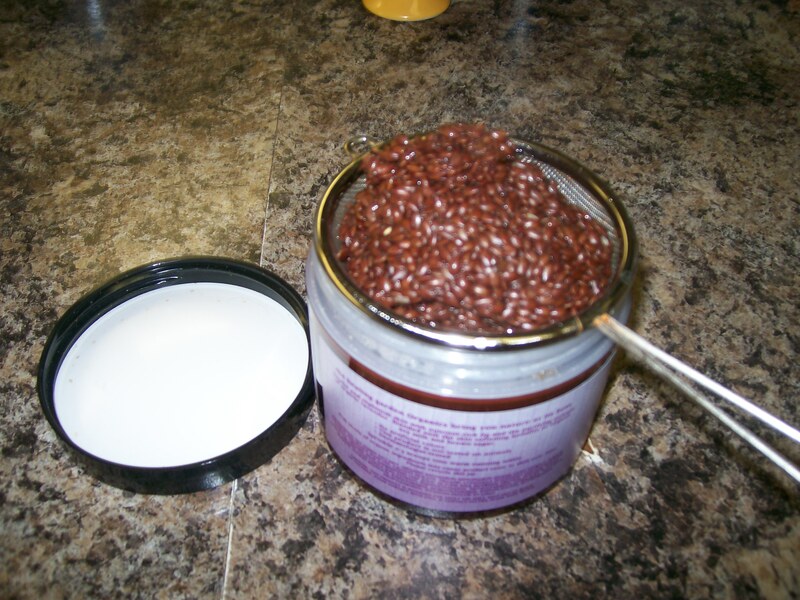 Step by step – how to make your own Flax Seed Gel. 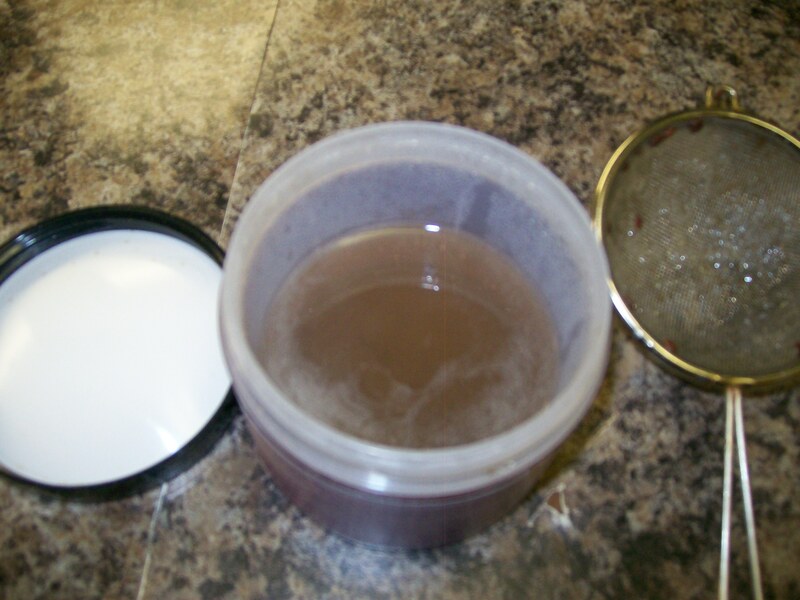 Last night it was time to make another batch of my favourite hair care product – my famous flax seed gel. It’s super easy to make, cheap and all natural. 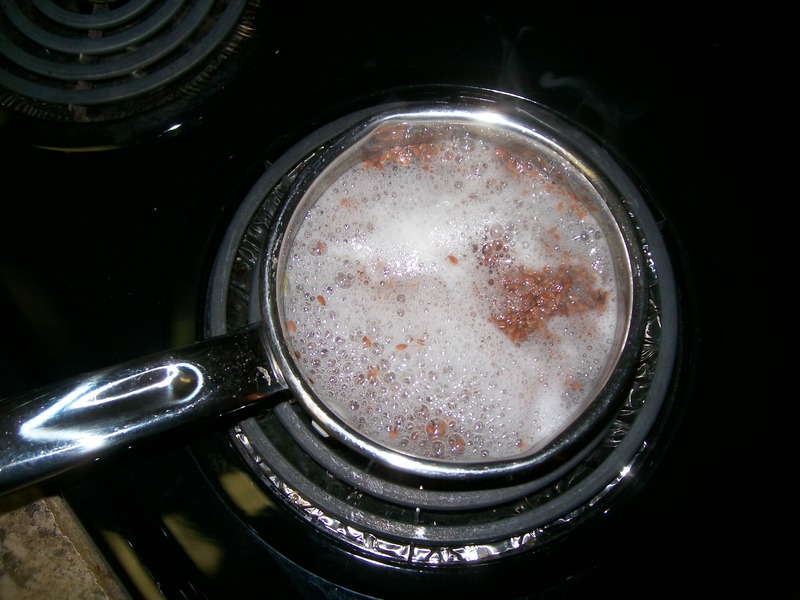 Add flax seeds to water and bring to a rolling boil on high. 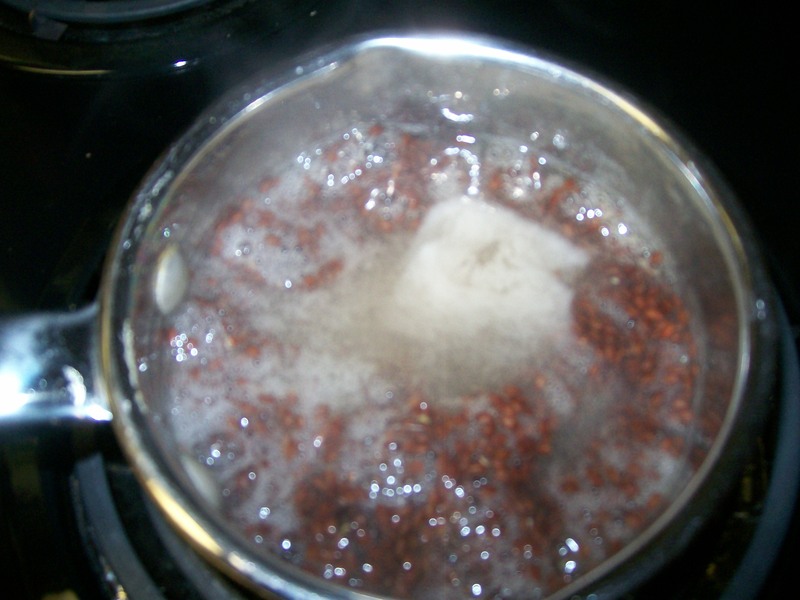 Reduce heat to about 4 and continue to slowly boil until the seeds start to give off their gel. Stir with a metal spoon every few minutes to monitor consistency. 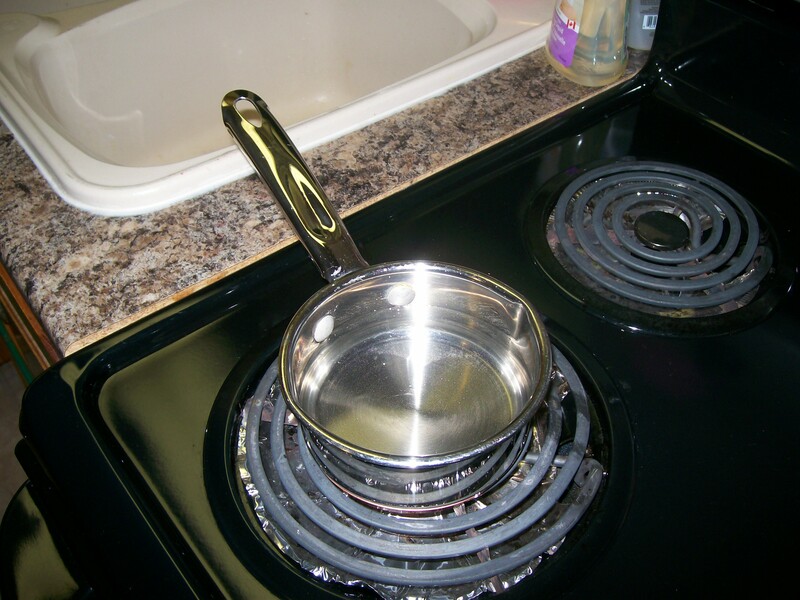 When gel-like consistency has been achieved, pour through strainer into your clean container. Step 5. 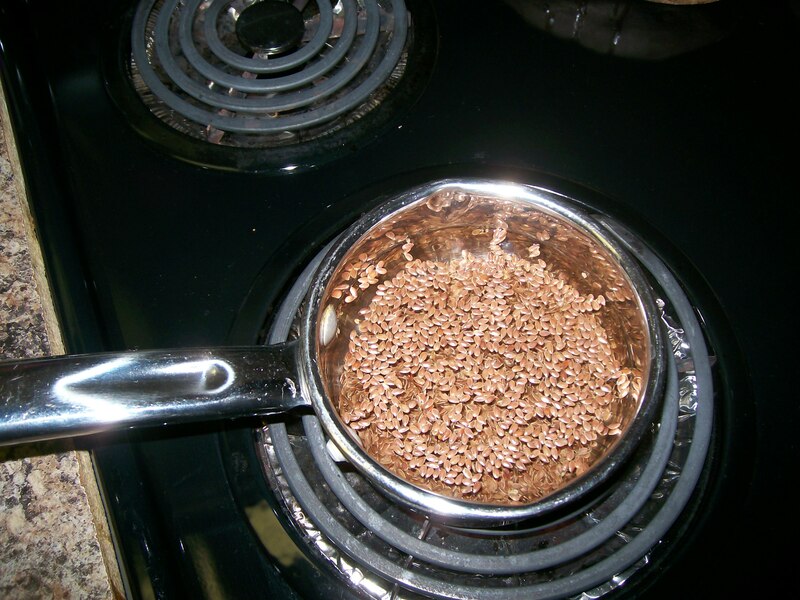 Discard seeds and leave your gel to cool. Step 6: Optional. 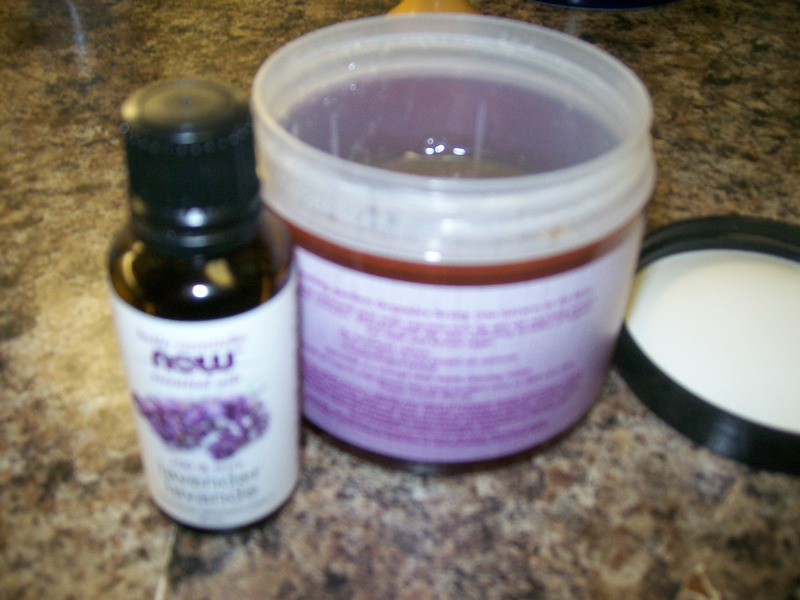 Add your favourite essential oil to the gel! And there you have it. All natural and home made in under 30 minutes. Just use the same way you use any styling gel or mousse. I would love to hear from you about this or anything else. I recently discovered a great new line of products and just wanted to share it with you! So far its really working well for my hair. It doesn’t have a strong scent (i.e. parfum, fragrance) like many hairsprays do, just a very subtle citrus smell. I personally find it very pleasant and the little bit I use works just as well as the chemical laden hairsprays I used in the past. The 8 oz bottle was $8.99. This is a little bit more expensive than some of the drugstore brands I used to use, but MUCH cheaper than any salon brand. Since I use so little, this is a very cost effective option for me. When I have more time I will check out some of their other products. I like to identify the brands that I can trust so that if I’m in a rush I can just grab a bottle of something and KNOW implicitly that there is nothing harmful inside. This is one of them! Please contact me anytime with your questions or comments. N.B. This above are my own opinions and comments. I am not affiliated with Andalou nor was I compensated in any way for writing this post. I did it of my own free will. My first post for the year will be about a personal project of mine: 40 by 40 – Losing 40 pounds by my 40th birthday. I have not lost any of the weight I gained from carrying my two beautiful babes in 2008 and again in 2010. The time has come where I really want to buckle down and get healthy again and not live in fear of someone asking me if I’m pregnant again. EEP! On December 14, 2012 I will turn 40. By the time this occasion rolls around I want to look GOOD! – 40 by 40 means losing just under 4 pounds per month. I think that’s pretty reasonable. – 40 by 40 does NOT mean a diet. I plan to eat sensible, healthy, whole foods and reduce my portion sizes. 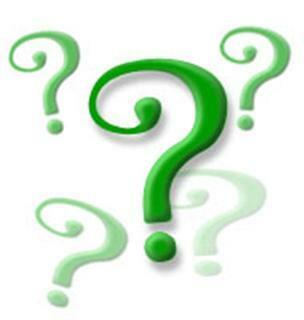 – my gym quality elliptical trainer is being dusted off and will be used 4 nights per week. – my FITBIT is on the way!! I ordered this little gadget as a motivator! More to come on this once I have it figured out and configured to my liking. 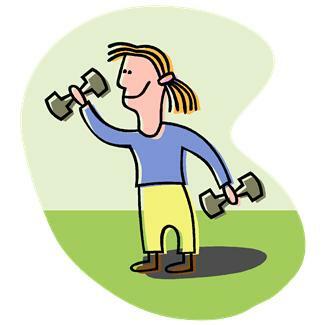 – I will report the number of pounds lost on the last day of each months on Twitter with the #my40by40 hashtag. First update will be January 31st. I bet you’ve passed by one of those kiosks in the mall and had people trying to coax you to try their and creams and other similar products. I always avoid those, but on a recent trip they gave my Mom a sample. I was going to throw it in the garbage but then got curious. What’s inside these products?? Lucky for me the ingredients were listed right on the back. Anything that was “suspect” to me is colored green. Click to read what the Cosmetics Database has to say about them. I’m bothered by the fact that it contains more “Parfum” than actual essential oils. So now you know! What do you think? Thanks for reading. Until the next time! An Ottawa Mommy Project Giveaway! The Ottawa Mommy Project is having its first ever giveaway to say a big THANK YOU to all our loyal readers and commenters! You will have the chance to win one of two copies of a fabulous book called “Green Clean – eco-friendly cleaning for the home“. 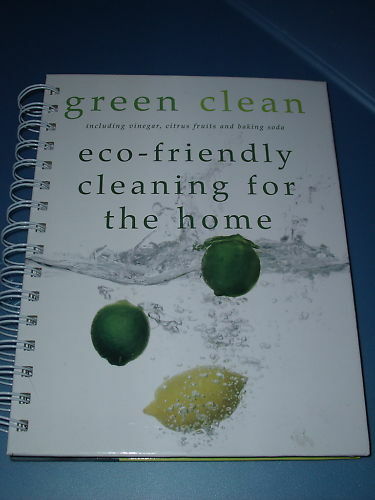 I make a lot of my homemade cleaners by using recipes in this book. It is a wonderful resource! It’s great to have on hand in the kitchen to refer to for ideas on cleaning everything in the home! To be entered, simply leave me a comment below and tell me which (if any) natural products you are using in your home and what you think of them, or a natural product you are interested in trying. I will select two winners using random.org at 8 pm EST on August 31, 2011 and winners will be announced on the blog the next day. Open to Canadian residents only please!